Our members enjoy lots of great events and learn heaps of new skills. 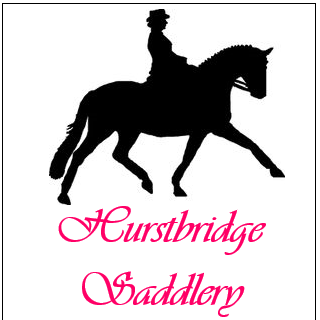 This page has all kinds of handy hints about being a member of Hurstbridge Horse and Pony Club. No matter if you’re a current member or a new member, there’s lots of information here for you. When you join the Pony Club, you will be assigned to a riding group. Our groups are named after pony colours and we try to group riders of similar skill level. Group information is updated a week before every rally on the rallies section. Each member has a grading card with their details and information about their pony. These cards are signed by the District Commissioner or Card Secretary at each rally and help you keep a record of rally attendance, grading and other important details. You need to be graded on your pony prior to competitions and have had two rallies on that pony. We change card colour each financial year and you should only keep cards for the current and preceding financial year in your card wallet. Your first rally is very exciting, but also a little daunting. Being prepared helps and that’s why we’ve developed a run through of how a rally day progresses. Every effort will be made to buddy up new members with someone who knows the ropes so they can show you around and introduce you to other families. At 9:20am we all go to our groups with our instructors to check that our gear is safe and clean. Tack is required to be clean – some instructors prefer that the children have a go, so mums and dads, it isn’t just up to you. Safety is important and that’s why we check for any worn or potentially dangerous damage to your tack. Correct fit is also checked (particularly stirrup irons, which must have a fingers width either side of the child’s foot). This is for your pony’s sake – an incorrectly fitting saddle or bridle can cause great pain to your pony or horse. Please take care of your pony before you visit our lovely canteen for lunch. If you need help to look after your pony please talk to your instructor. We recommend unsaddling, providing food and water and making sure your pony is comfortable and safe (in cold weather a rug will stop them getting a chill). The final lesson for the day. Please pick up any manure and put it on the heap near the yards and if you leave early please let our DC know. We have a First Aid Coordinator and a number of parents who are qualified with Level 2 first aid. These parents have offered to provide first-aid assistance at rallies. The list of these parents is on the notice board with the rally details. If there is an accident at the rally, one of these parents needs to be contacted. A report must be filled out. If at all concerned ring 000 for an ambulance. As you can imagine, there’s a lot of organising that goes into a rally day. And even more for event days! As a result. each HHPC family is required to assist at two rallies and at events throughout the year, either in the canteen or grounds. The duties roster is on our homepage and is updated each financial year. If you cannot make your assigned days it is your responsibility to contact another member and swap with them. Our club is run by volunteers and requires a lot preparation for events and clinics to run smoothly. Our committee is a dedicated group of parents who can always do with extra help so if you wish to be more involved please contact us. We try to keep our fees modest and so our fundraisers are really important. Our major fundraising activities tend to be event days and the canteen profits from each rally! 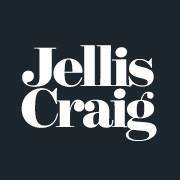 Our events also enable members to compete on home turf and are a great way to learn the ropes. So please volunteer when the event coordinator comes your way! Throughout the year we hold working bees to keep our grounds neat, tidy and safe. As part of your membership it is expected that you make the effort to attend these days.